Fast Duplicate File Finder 5.0.0.1 is released. Fast Duplicate File Finder is recognized as the the fastest and the most reliable duplicate finder on the market. Any tool that claims faster performance compares MD5, CRC, size, dates, names or other unreliable properties which may lead to incorrect results and loss of valuable data. Fast Duplicate File Finder (FDFF) performs real byte-to-byte comparison and guarantees that the identified files are 100% duplicates. If a tool finds more duplicates than FDFF that is not a sign of better performance – it is a sign of poor detection algorithm and one should really check the results provided by such tools deeper with a proper DIFF tool or a HEX editor. 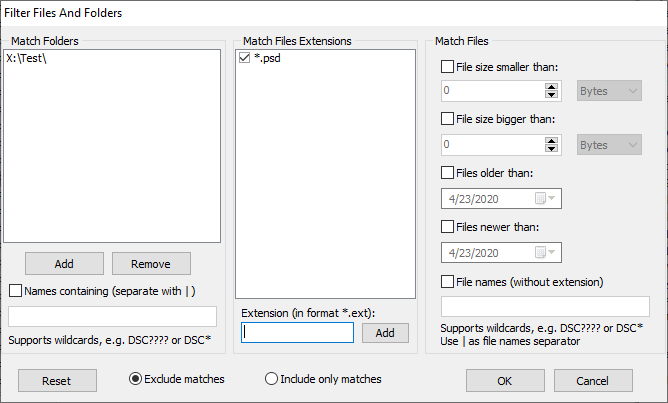 A new feature in the “Advanced auto-check” options – “Match full path” makes it possible to exclude multiple folder names from the auto-check feature by specifying patterns with wildcards or folder names. While there is an option to exclude a folder from auto-check in the folders list, the new feature provides a more flexible way of doing that. Also the new option makes it possible to specify subfolder names that are not listed in the folders list. Multiple patterns or folder names can be specified by separating them with a vertical line ( Symbol: | ). While the main goal of a duplicate finder is to remove duplicates there are certain cases where duplicates should be intentionally copied/duplicated. These usually are required for backup/sync purposes. The new option “Copy checked files” helps exactly in such cases. Additional improvements in the Copy/Move/Delete panel make it easier to read and configure. A list of all the new features can be found on the Duplicate File Finder’s What’s new page. This entry was posted in Fast Duplicate File Finder and tagged Add Exception, Ashisoft Duplicate File Finder, Best Duplicate File Finder, Best Duplicate File Finder 2017, Duplicate File Cleaner, Duplicate File Finder Filehippo, Duplicate File Finder Free Download Full Version, Duplicate File Finder Full Version Crack, Duplicate File Finder Mac, Duplicate File Finder Open Source, Duplicate Picture Finder, Easy Duplicate File Finder, Easy Duplicate Finder, Exclude Folder, Exclude Folder From Autocheck, Fast Duplicate File Finder, Free Duplicate Finder, Quick Duplicate Finder on December 11, 2017 by MindGems Support. This new release provides some fixes and two new features. There are two new context menu items in the results list. The first one “Remove from List…” will remove the selected items from the list. After the remove operation if the group contains only one item it will be automatically removed if the option “Remove from list groups containing single file after move/delete”. This handy new feature can be used to remove items that should be kept from the list. Please note that this feature removes just the item from the list – not the actual file. The other option is “Remove Group from List…”. Using the feature will remove the entire group to which the selected item(s) belongs. Multiple items can be selected and removed at once. The fixes include a modification that enabled the tool to load projects with older file formats. 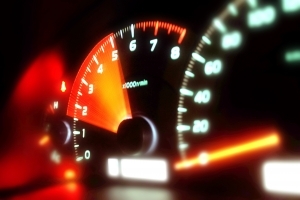 Deleting large amounts of files is optimized in this release and handled better and faster. An issue that prevented the program form showing results when using vertically rotated desktops is now removed. Associated file icons are now retrieved in faster and safer. As always, feel free to e-mail us your suggestions or just drop us a line in the comments. This entry was posted in Fast Duplicate File Finder and tagged Delete Duplicate Crack, Delete Duplicate File, Delete Duplicate Files Free, Delete Duplicate Files Freeware, Delete Duplicate Files In Itunes, Delete Duplicate Files Linux, Delete Duplicate Files Mac, Delete Duplicate Files Vista, Delete Duplicate Files Windows, Delete Duplicate Files Windows 7, Delete Duplicate Sobolsoft, Delete Duplicate Windows Media Player, Duplicate File Finder Delete Free, Duplicate File Finder Lifehacker, Duplicate File Finder Mac, Duplicate File Finder Open Source, Duplicate File Finder Review, Duplicate File Remover, Duplicate Music File Finder, Duplicate Picture Finder, Fast Duplicate File Finder, Find Duplicate Files, How To Delete Duplicate Pictures In Windows, How To Delete Duplicate Windows Xp, How To Delete Duplicates In Itunes Windows, Search And Remove Duplicate Files, Windows Media Delete Duplicates on May 27, 2014 by MindGems Support. Visual Similarity Duplicate Image Finder 4.7.0.1 is now Windows 8 certified. The application utilizes a new cache system that provides immense speed improvement in the pre-processing stage. The improvement can be up to 1000 (no it is not a typo – thousand times) faster depending on the count of images. Using the new cache system VSDIF can now pre-process 10,000 images in a second. It is strongly recommended to use the new cache system as consequential scans of an image library will be extremely fast. The best thing regarding the new cache is the fact that it also detects modified files. This means that a file which was cached in a previous scan and has been modified will be identified and re-processed. This ensures that the duplicate image finder will use the latest version of every file even when using the cache system. The new cache system is available also for the “Image Search” feature and will work equally fast. Old cache files were designed for slow storage and computers and are no longer supported. There is a new option “Check All Except First in Group” in the Auto-check feature. An updated browse for folder dialog can be used to navigate to a folder that is pasted from the clipboard. There is a huge speed improvement when loading large project files. The entire change log can be found here. Do not forget to check also the free Duplicate File Finder, Duplicate MP3 Finder and Folder Size tools that will help with the disk cleanup process. This entry was posted in Information, News, Visual Similarity Duplicate Image Finder and tagged Clean Duplicate Images, Delete Duplicate Images, Duplicate Image Finder, Duplicate Images Finder, Duplicate Photo Finder, Duplicate Picture Finder, Erase Duplicate Images, Erase Duplicate Photos, Fast Image Search, Fastest Duplicate Image Finder, Find Similar Images, Image Organizer, Image Search, Organize Images, Remove Duplicate Images, Remove Duplicates, Search for Similar Images, Similar Images Search on March 6, 2013 by MindGems Support. A new major release of Visual Similarity Duplicate Image Finder 4.0.0.1 is available for download. Using the Pause/Resume functionality you can temporarily stop VSDIF in order to perform some tasks and later resume the scan. A Quick Check/Uncheck functionality allows you to check/uncheck files by their folder, extension, file size, file date, etc. You can now add/remove multiple folders at once in the filter dialog. A new option “Quick load images” is added, which was until now always on. If you have some strange results showing absolutely different images as duplicates, then turn this option off. This issue is caused by damaged images that can not be properly loaded when “Quick load images” option is enabled. An enhanced DICOM images support is added. This release also includes other small bug fixes and GUI improvements. This entry was posted in News, Visual Similarity Duplicate Image Finder and tagged DICOM, Duplicate Finder, Duplicate Image Finder, Duplicate Photo Finder, Duplicate Picture F, Duplicate Picture Finder, Enhanced Dicom Images Support, Find Duplicate Images, Find Duplicate Photos, Find Duplicate Pics, Find Duplicates, Fnd Duplicate Pictures, Image Organizer, Image Search, Organize Images, Organize Photos, Photo Organizer, Photo Sort, Photosort, Search Duplicate Images, Search Similar Images, Sort Images, Sort Photos, Sort Pictures on October 18, 2010 by MindGems Support. Visual Similarity Duplicate Image Finder 3.8.0.1 is released packed with new features and improvements. The new HDPhoto file format (also known as JPEG XR and Windows Media Photo ) is now supported. A better browse for folder dialog lets you choose several folders simultaneously. There is a new option that can be enabled and will remove the groups that contain only one file after manual delete/move operation from the list. The user checked files can now be displayed using bold formatted font style. A new tab in the options determines which columns should be visible in the results grid. A warning message is now displayed if you try to uncheck all images in a selection where you had manually checked items. Please check the “What’s New” section below for a complete list of the new features and fixes. HD Photo is the new name for Windows Media Photo. Both names refer to the exact same file format. The Windows Media Photo name is still used to describe the implementation of HD Photo in Microsoft Windows products. HD Photo is used in XML Paper Specification (XPS) to deliver a lightweight, high performance algorithm with a small memory footprint that enables practical, in-device encoding and decoding. It delivers compression quality comparable with JPEG-2000 and more than twice the quality of JPEG. Most technologies in the JPEG XR Standard are based on the HD Photo file format. The JPEG XR Standard is also known as the ISO/IEC Standard 29199-2 and as the ITU-T Recommendation T.832. You can now add multiple folders at once using the enhanced Browse for Folder dialog. Added new option “Remove from list groups containing single file after delete/move”. Added new option “Show user checked files in bold font”. Added new options tab to select which columns you want to be shown in the results grid. Added warnings when unchecking a selection of images and there are user checked images. Fixed Disable Folder Self-scan in Hash/Filesize/EXIF modes. Fixed some bugs when moving files. Other small bug fixes and GUI improvements. This entry was posted in News, Visual Similarity Duplicate Image Finder and tagged .Hdp, .Jxr, .Wdp, Clone Image Finder, Clone Remover, Continuous-Tone Still Images, Double Pics, Dupeguru Pe, Duplicate Image Finder, Duplicate Photo Finder, Duplicate Picture Finder, Find Duplicate Hdphoto Files, Find Identical Hdphoto Files, Find Similar Hdphoto Files, Hdphoto Files, Image Comparer, Iso/Iec Standard 29199-2, Itu-T Recommendation T.832, JPEG XR, JPEG-2000, Photosort, Visipics, Vistanita Duplicate Finder, Visual Similarity Duplicate Image Finder, Windows Media Photo on May 15, 2010 by MindGems Support. Visual Similarity Duplicate Image Finder version 1.6.0.1 is released. When deleting duplicate files a progress form is shown. Added option to minimize the main window to the system tray. Minor GUI changes. Changed some labels text. Updated help and internal image engine. Fixed maximized main window position and state loading problem. This entry was posted in News, Visual Similarity Duplicate Image Finder and tagged Compare Images, Delete Duplicate, Duplicate Photo Finder, Duplicate Picture Finder, Find Duplicate, Find Duplicate Images, Find Duplicate Photos, Find Duplicate Pictures, Scan Duplicate Images, Search Duplicates, Search Images on February 26, 2006 by MindGems Support. Visual Similarity Duplicate Image Finder 1.3.0.1 is available for download. This release includes additional options that give you extra control over the precision level. Memory usage is extremely reduced. It is now possible to detect grayscale duplicates of images. We are proud to present you this much more stable and fast version. You can find the list of all changes fixes and additions here. Core Improved: Added options to perform smart image comparing using grayscale. It is now possible to detect grayscale duplicates of images. Core Improved: Tweaked memory usage. Now the program uses up to 50% less memory when comparing images. This fixes some issues comparing large number of image files. Core Improved: The image comparing process is now executed in a separate thread, thus avoiding GUI lockups. Core Improved: Code cleanup and optimization. The scanning process is about 5-10% faster. Core Bug fix: Tweaked again the auto select duplicate routine. Core Bug fix: Fixed loading images with extensions that differ from the actual image format, e.g. the extension is .jpg, but the file is in BMP format. GUI Improved: The folder list is auto saved and auto loaded on next startup. GUI Improved: The last folder from Add Folder dialog is auto saved and auto loaded on next startup. GUI Improved: Program window position and state is auto saved and auto loaded on next startup. GUI Improved: Minor GUI changes. Updated help. This entry was posted in News, Visual Similarity Duplicate Image Finder and tagged Clone Remover, Comparing, Dedupe, Detect, Duplicate, Duplicate Images, Duplicate Picture Finder, Find Du, Find Duplicate, Find Duplicate Image, Find Duplicate Images, Find Duplicate Photos, Find Duplicate Pictures, Finding, Images, Noclone, Scan on October 29, 2005 by MindGems Support. Our new product Visual Similarity Duplicate Image Finder is release and available for download. Be among the first that will value its power, precision and speed. There is no product on the market alike Visual Similarity Duplicate Image Finder. It uses advanced algorithms to give you precise results. It compares the content of your images rather than their sizes, dates, names or anything else that does not make sense. Try it for yourself and you will be amazed by the results. Though processing huge amount of data Visual Similarity Duplicate Image Finder achieves high performance. In addition to that Visual Similarity Duplicate Image Finder can compare images in the old-fashioned way – by CRC checksum and file sizes which methods are extremely fast, but will not give you the results that you will achieve by visual comparison. You have also the option to auto-mark the images for deletion using different criteria. You can select the images with the smallest size, dimensions, oldest date or a combination of all. Usually the biggest size and dimension images or the ones with the oldest date would be your originals. Visual Similarity Duplicate Image Finder will find duplicate images in a folder and all of its sub folders. In addition to that it will not only delete the images, but let you also move them to the recycle bin or a specified folder. That will let you double check and restore your images in case you have moved something by mistake. Download Visual Similarity Duplicate Image Finder for free and give it a try for yourself. This entry was posted in News, Visual Similarity Duplicate Image Finder and tagged Duplicate Photo Finder, Duplicate Picture Finder, Find Duplicate, Find Duplicate Images, Find Duplicate Photos, Find Duplicate Pictures on April 19, 2005 by MindGems Support. Visual Similarity Duplicate Image Finder will be released soon. This is an innovative new tool that allows you to easily find duplicate images. This is not a simple tool that will compare the files by name, size or date. Visual Similarity Duplicate Image Finder uses complex algorithms to find similar images in a way that a human does. It compares the content of your images rather than the names or sizes. It can find similar images even if they are stored in different file formats and sizes. Visual Similarity Duplicate Image Finder is so advanced that it can detect similarity in a picture of a person shot from two different close to each other angles. Of course the tools gives you the ability also to double check the similar images before deleting them giving you a list with similar images and a full sized preview. The tool will save you many hours of work that you would otherwise spend on checking the images by hand and will save you huge amount of disk space that you would otherwise waste storing duplicate information. This entry was posted in News, Visual Similarity Duplicate Image Finder and tagged Alike, Check, Come Up, Compare, Determine, Detetct, Discover, Duplicate, Duplicate Photo Finder, Duplicate Picture Finder, Find Duplicate, Find Duplicate Images, Find Duplicate Photos, Find Duplicate Pictures, Finder, Format, Identical, Image, Locate, Look, Photo, Photograph, Picture, Related, Search, Seek, Similarity, Size, Synonymous, Visual on April 3, 2005 by MindGems Support.